Does this product work on all mites? We have mites that cannot be seen but are biting the family... please help! Unless there are actual bite marks such as welps, pimples, blisters, etc, then the chances of your issues being mites are slim. Out of hundreds of reports of issues exactly like this each year, less than 1% are actual mite related. The immature stage of mites are called "chiggers". They leave a very painful and visible bite mark that will itch for days. Simply having the "sensation" of something crawling on you is not enough to point the finger at mites. So the question is - is everyone getting bite marks, blisters and whelps? If not it is something else, 99% chance it is not mites. 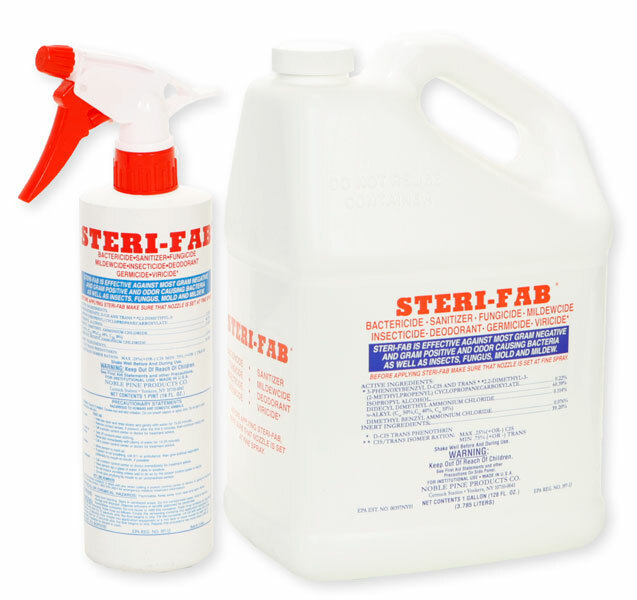 Sterifab is a non residual spray that can be applied directly to carpets, floors, bedding and other areas to kill insects on contact. It does not leave a residual and has no lasting effect. The benefit is that it is non-staining and very low odor.